Probably not a Yeezy sneaker. Based on the immediate success of the adidas Tubular, it shouldn't be surprising that adidas is already expanding the shoe into a wider range of models. It seems that this leaked pair might be one of those. The shoe features a sole very similar to that of the Tubular, although it's got some linear grooves that set it apart. 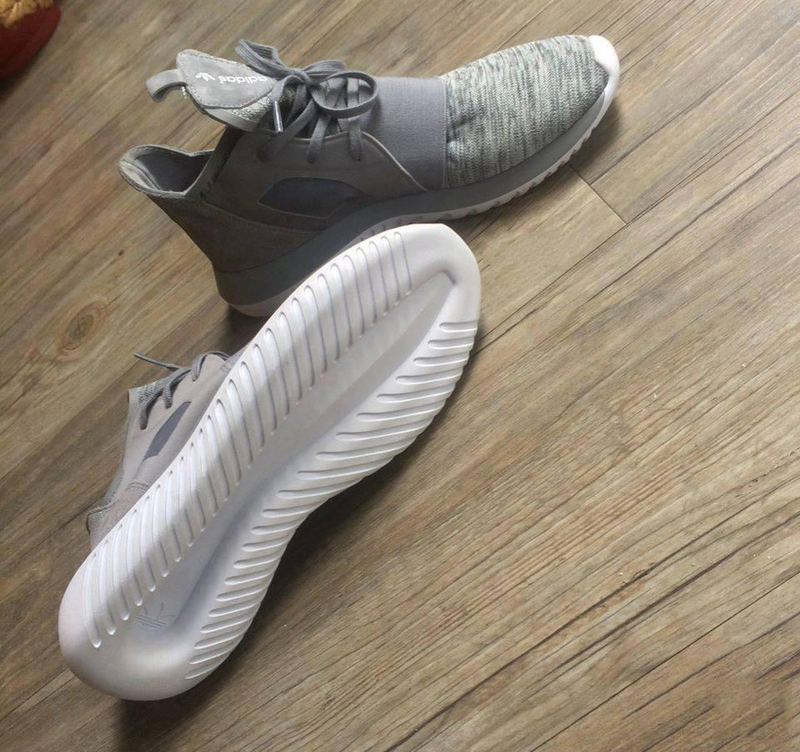 The sneaker also has a flexible inner bootie, which recalls the adidas Tubular design. 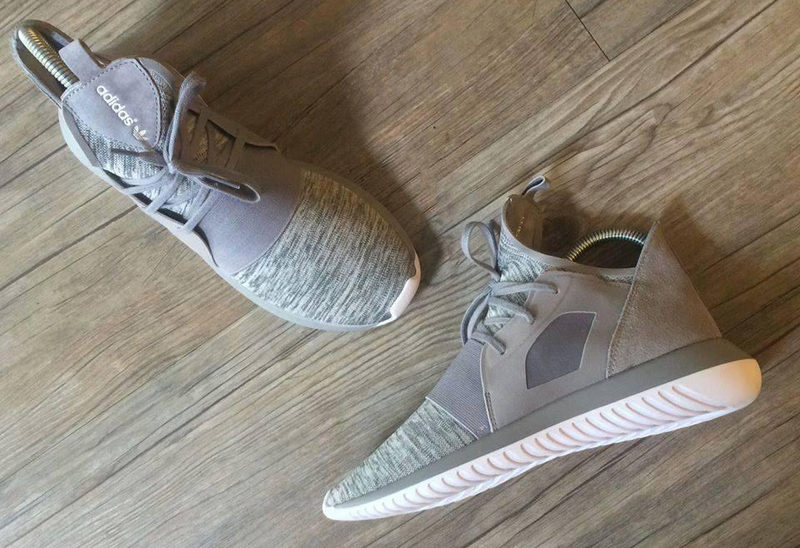 Like so many other leaked adidas designs as of late, this one is already rumored as a possible release for the adidas Yeezy Boost line. That seems unlikely though, given the apparent lack of Boost technology and the tongue branding that's in opposition to Ye's logo-less aesthetic.